Are you worried you left the iron or coffee machine on? Check it via the app and switch your appliances off remotely. That familiar feeling you forgot something… we all know it. Perhaps the iron is still plugged in? Or the hair straighteners? With the fifthplay smart plugs you will know immediately and you can switch the power off if necessary. That way you can always leave the house with peace of mind and you do not need to return to check whether all is OK.
Are you sometimes taken aback by your high energy bill? With fifthplay’s smart plug you can monitor your consumption constantly and in no time you will become more energy conscious. Are you suddenly consuming more than usual? You can see this immediately and act upon it. Do you have a small business? Then faulty devices can become expensive. Unless you are made aware immediately. 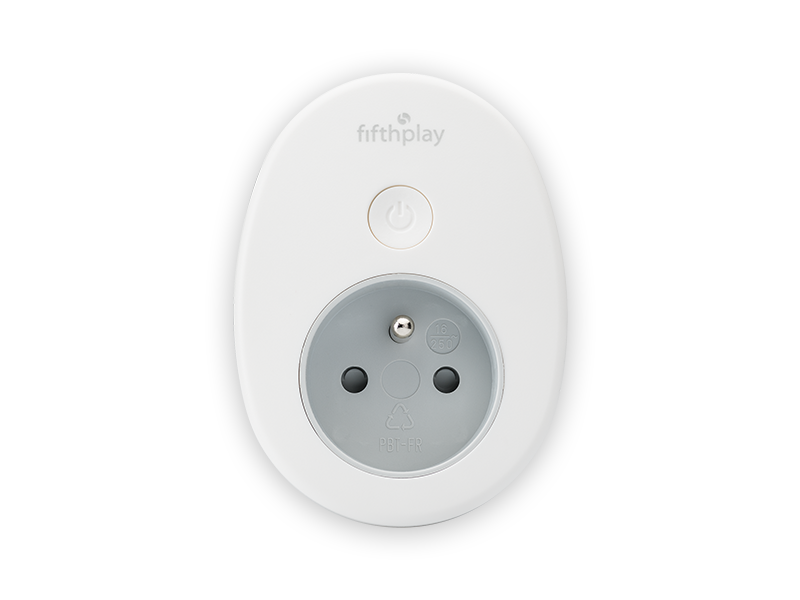 You can easily control all devices connected to the plugs with the fifthplay smartphone app and web portal. Just realised your coffee machine might still be switched on? You can switch it off with one press on the button. Or have you left the door of the freezer ajar? You will automatically receive an alert. Adjustable programs: set your own weekly programs and leave the modules to switch automatically. So, for example, you can go on holiday and program a standard lamp to go on and off to give the impression that someone is home. Or program certain devices to switch off automatically when they are not being used.